Home Investigations NEO – What is Fethullah Gülen? NEO – What is Fethullah Gülen? [ Editor’s Note: Mr. Engdahl brings an excellent deep background review of the infamous Fethullah Gülen, something very hard to do because it is such a large and complex batch of material to condense for the public to be able to grasp. This is the best I have seen, and one of the pleasures of being a VT editor is being able to bring you material of this quality. 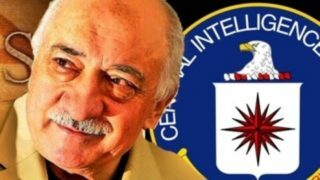 Gulen’s operation is such a well known CIA project that one wonders what its intelligence value can be when so exposed, except the show of power that it represents to be able to continually operate worldwide with no one making any serious moves to bust it up? 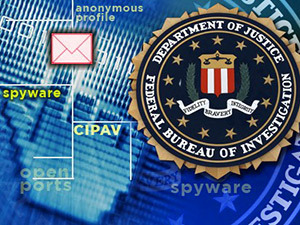 In the US, numerous investigations drag on with no conclusions in sight. How many “private operations” are being run under such an untouchable cover is a hotly debated topic in Intel circles, and all the more so since the contracted elements of US intelligence have been up to their eyeballs in drug dealing and a number of other mainstream international criminal endeavors since 9-11 and the Homeland Insecurity monster being let loose upon us. The twisted ethical rationale for this behavior is that the endless billions of dollars to be made from such activity is much too risky to leave in the hands of “ordinary criminals”, and should be put to public use via the off-the-books funding it can provide for “national security work”. The same thing was done with the South American and Mexican drug cartels. Here at VT we find few people in the trade willing to publicly discuss this little oddity, as there is a trail of bodies along the Yellow Brick Road of this sordid story. Erdogan’s tearing down of the Gulen organization puts him on a collision course with the US and CIA, and pushes him into the Russian sphere of influence, as Gulen’s operation has long been targeted against the former Soviet Union States. Will Erdogan’s Syria plans go up in smoke now? Since the failed coup attempt in Turkey of July 15 there has been much speculation in western media that it in fact was all engineered by President Recep Tayyip Erdoğan to provide him with the pretext to impose emergency rule and to jail any and all opposition to his rule. At this point evidence still suggests that that was not at all the case. Rather, as I wrote at the time when it was clear the coup attempt was collapsing, it was a coup initiated by the CIA acting through their primary asset inside Turkey, the networks of their fugitive Turkish asset Fethullah Gülen. When we examine more closely “what” is Fethullah Gülen he is anything but the grandfatherly image of a 75-year-old soft-spoken Islamic moderate, scholar and Imam. His networks have been called the most dangerous in Germany by Islamic experts and have been banned in several Central Asian countries. Now, too, in Turkey. What’s becoming clear is that the failed coup was in fact a dry-run, a dress rehearsal by Gülen’s controllers in Langley to see how Erdogan would react, in order to recalibrate and prepare for a more serious attempt in the future. Washington was not at all happy with the foreign policy turn of Erdoğan turning to reconcile with Russia and possibly also with Syria’s Assad. Fethullah Gülen is not a “who” but, rather, it is a “what.” The what is one of the most extensive and elaborate surrogate warfare networks ever created by the United States intelligence community, spanning countless nations including the United States and Germany, as well as the historic Turkic regions of Central Asia from Turkey up to the Uyghur peoples of China’s oil-rich Xinjiang Autonomous Province. As they were deploying Osama bin Laden’s Arab Mujahideen “holy warriors” into Chechnya and the Caucasus during the 1990s, the CIA, working with a network of self-styled “neo-conservatives” in Washington, began to build their most ambitious political Islam project ever. It was called the Fethullah Gülen Movement, also known in Turkish as Cemaat, or “The Society.” Their focus was Hizmet, or what they defined as the “duty of Service” to the Islamic community. Curiously enough, the Turkish movement was based out of Saylorsburg, Pennsylvania. There, its key figure, the reclusive Fethullah Gülen, was allegedly busy building a global network of Islam schools, businesses, and foundations, all with untraceable funds. His Gülen Movement, or Cemaat, has no main address, no mailbox, no official organizational registration, no central bank account, nothing. His followers never demonstrated for Sharia or Jihad—their operations were all hidden from view. The projects sponsored by Gülen-inspired followers today number in the thousands, span international borders and…include over 2000 schools and seven universities in more than ninety countries in five continents, two modern hospitals, the Zaman newspaper (now in both a Turkish and English edition), a television channel (Samanyolu), a radio channel (Burc FM), CHA (a major Turkish news agency), Aksiyon (a leading weekly news magazine), national and international Gülen conferences, Ramadan interfaith dinners, interfaith dialog trips to Turkey from countries around the globe and the many programs sponsored by the Journalists and Writers Foundation. In addition, the Isik insurance company and Bank Asya, an Islamic bank, are affiliated with the Gülen community. Bank Asya was listed among the Top 500 Banks in the world by London’s Banker magazine. It had joint-venture banking across Muslim Africa, from Senegal to Mali in a strategic cooperation agreement with the Islamic Development Bank’s Senegal-based Tamweel Africa Holding SA. Zaman, which also owns the English-language Today’s Zaman, is the largest daily paper in Turkey. By the late 1990s, Gülen’s movement had attracted the alarm and attention of an anti-NATO nationalist wing of the Turkish military and of the Ankara government. 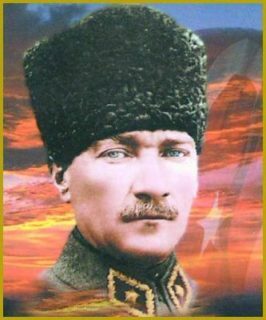 After leading a series of brilliant military campaigns in the 1920s to win the Independence War after World War I, Kemal Ataturk established the modern Turkish state. He launched a series of political, economic, and cultural reforms aimed at transforming the religiously-based Ottoman Caliphate into a modern, secular, and democratic nation-state. He built thousands of new schools, made primary education free and compulsory, and gave women equal civil and political rights, and reduced the burden of taxation on peasants. In 1998, Gülen defected to the US shortly before a treasonous speech he had made to his followers at a private gathering was made public. He had been recorded calling on his supporters to “work patiently and to creep silently into the institutions in order to seize power in the state,” treason by the Ataturk constitution of Turkey. Gülen never left the United States after that, curiously enough, even though the Islamist Erdoğan courts later cleared him in 2006 of all charges. His refusal to return, even after being cleared by a then-friendly Erdoğan Islamist AKP government, heightened the conviction among opponents in Turkey about his close CIA ties. 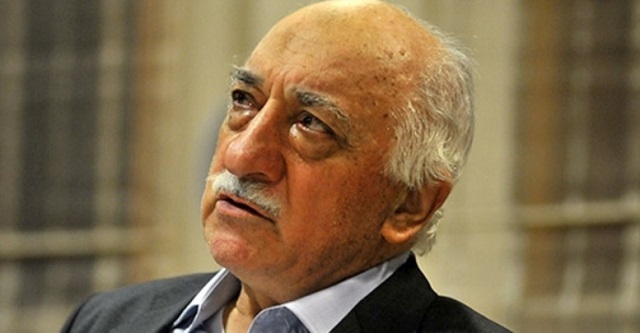 Gülen was charged in 2000 by the then secular Turkish courts of having committed treason. Claiming diabetes as a medical reason, Fethullah Gülen had managed to escape to a permanent exile in the United States, with the help of some very powerful CIA and State Department friends before his indictment was handed down. Some suspected he was forewarned. Unlike the CIA’s Mujahideen Jihadists, like Hekmatyar in Afghanistan or Naser Orić in Bosnia, the CIA decided to give Fethullah Gülen a radically different image. No blood-curdling, head-severing, human-heart-eating Jihadist, Fethullah Gülen was presented to the world as a man of “peace, love and brotherhood,” even managing to grab a photo op with Pope John Paul II, which Gülen featured prominently on his website. Once in the US, the Gülen organization hired one of Washington’s highest-paid Public Relations image experts, George W. Bush’s former campaign director, Karen Hughes, to massage his “moderate” Islam image. The CIAs Gülen project centered on the creation of a New Ottoman Caliphate, retracing the vast Eurasian domain of the former Ottoman Turkic Caliphates. However, over the objections of the FBI, of the US State Department, and of the US Department of Homeland Security, three former CIA operatives intervened and managed to secure a Green Card and permanent US residency for Gülen. The three CIA people supporting Gülen’s Green Card application in 2007 were former US Ambassador to Turkey, Morton Abramowitz, CIA official George Fidas and Graham E. Fuller. George Fidas had worked thirty-one years at the CIA dealing, among other things, with the Balkans. Morton Abramowitz, reportedly also with the CIA, if “informally,” had been named US Ambassador to Turkey in 1989 by President George H.W. Bush. Sibel Edmonds, former FBI Turkish translator and “whistleblower,” named Abramowitz, along with Graham E. Fuller, as part of a dark cabal within the US Government that she discovered were using networks out of Turkey to advance a criminal, “deep state” agenda across the Turkic world, from Istanbul into China. The network reportedly included significant involvement in heroin trafficking out of Afghanistan. On leaving the State Department, Abramowitz served on the board of the US Congress-financed National Endowment for Democracy (NED) and was a cofounder, along with George Soros, of the International Crisis Group. Both the NED and International Crisis Group were implicated in various US “Color Revolutions” since the 1990s collapse of the Soviet Union. Graham E. Fuller, the third CIA “friend” of Fethullah Gülen, had played a key role in the CIA’s steering Mujahideen and other political Islamic organizations since the 1980s. He spent 20 years as CIA operations officer in Turkey, Lebanon, Saudi Arabia, Yemen, and Afghanistan and was one of the CIA’s early advocates of using the Muslim Brotherhood and similar Islamist organizations to advance US foreign policy. 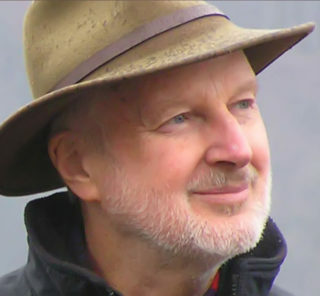 In 1982, Graham Fuller had been appointed the National Intelligence Officer for Near East and South Asia at CIA, responsible for Afghanistan, where he had served as CIA Station Chief, for Central Asia, and for Turkey. In 1986 Fuller became Vice-Chairman of the CIA’s National Intelligence Council, with overall responsibility for national level strategic forecasting. 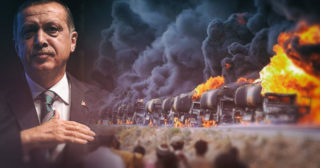 Fuller, author of The Future of Political Islam, was also the key CIA figure to convince the Reagan Administration to tip the balance in the eight-year long Iran-Iraq war by using Israel to illegally channel weapons to Iran in what became the Iran-Contra Affair. 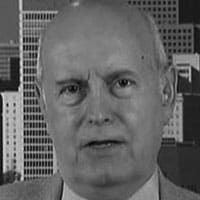 In 1988, as the Afghan Mujahideen war would down, Fuller “retired” from the CIA with rank as Deputy Director of the CIA’s National Council on Intelligence, to go over to the RAND Corporation, presumably to avoid embarrassment around his role in the Iran-Contra scandal for then Presidential candidate George H.W. Bush, Fuller’s former boss at CIA. RAND was a Pentagon- and CIA-linked neoconservative Washington think tank. Indications are that Fuller’s work at RAND was instrumental in developing the CIA strategy for building the Gülen Movement as a geopolitical force to penetrate former Soviet Central Asia. Among his RAND papers, Fuller wrote studies on Islamic fundamentalism in Turkey, Sudan, Afghanistan, Pakistan, and Algeria, the “survivability” of Iraq, and the “New Geopolitics of Central Asia” after the fall of the USSR, where Fethullah Gülen’s cadre were sent to establish Gülen schools and Madrassas. The same doctrines can still be used to destabilize what remains of Russian power, and especially to counter the Chinese influence in Central Asia. By the mid-1990s, more than seventy-five Gülen schools had spread to Kazakhstan, Tajikistan, Azerbaijan, Turkmenistan, Kyrgyzstan, Uzbekistan, and even to Dagestan and Tatarstan in Russia amid the chaos of the post-Soviet Yeltsin era. In 2011, Osman Nuri Gündeş, former head of Foreign Intelligence for the Turkish MIT, the “Turkish CIA,” and chief intelligence adviser in the mid-1990s to Prime Minister Tansu Çiller, published a book that was only released in Turkish. Gündeş, then 85 and retired revealed that, during the 1990s, the Gülen schools then growing up across Eurasia were providing a base for hundreds of CIA agents under cover of being “native-speaking English teachers.” According to Gündeş, the Gülen movement “sheltered 130 CIA agents” at its schools in Kyrgyzstan and Uzbekistan alone. 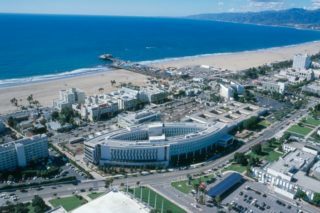 More revealing, all the American “English teachers” had been issued US Diplomatic passports, hardly standard fare for normal English teachers. Today Gülen’s spider web of control via infiltration of the Turkish national police, military and judiciary, as well as education is being challenged by Erdogan as never before. 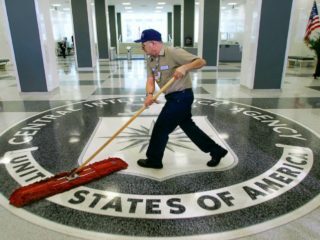 It remains to be seen of the CIA will be successful in a second coup attempt. If the model of Brazil is any clue, it will likely come after a series of financial attacks on the Lira and the fragile Turkish economy, something already begun by the rating agency S&P. Next articleTerror Attacks and No Sympathy Hashtags For Millions of Dead Muslims? Thank you for posting Bill Engdahl’s absolutely excellent analysis of Gulen & CIA and their probable role in the Erdogan coup attempt (although Gulen himself was probably more of a passive player), which analysis is slightly different from the predominant VT view of the coup. Gordon Duff is quite correct in saying that Turks are frightened, being arrested in massive numbers, may retroactively be subjected to the death penalty, and do not have a free press. Erdogan did support & fund Daesh/ISIS, filled the military with his supporters, worked with CIA/Gulen on drug trafficking thru Incirlik, and did/does not support the rule of law. For Erdogan, the coup was LIHOP (Let It Happen On Purpose). Erdogan knew about the impending coup since at least December 2015 and had a long time to prepare (and overreact). However, FARS & Sputnik now report that Russia warned Erdogan hours in advance of the coup that Turk military were coming to arrest or assassinate Erdogan (forcing coup plotters to try the coup before intended). Shortly before then, Erdogan began warming Turk relations with Russia & Syria — anathema to Bush/NeoCon CIA remnants, Saudis, GCC & NATO (who may have orchestrated the coup). Erdogan’s assertion that the Turkish F-16 pilots who shot down the Russian Su-24 in November 2015 were part of the coup is certainly NOT implausible, since those same pilots flew to Erdogan’s vacation spot to arrest or assassinate Erdogan. Erdogan’s safe flight back to Istanbul may have been due to Russian aerial protection. If Saudis, Israel & Bush/NeoCon CIA remnants learned that Erdogan intended to turn away from U.S., Saudis & NATO and toward Russia & BRICS and to normalize relations with Syria, then this may explain the VT intel that Saudi and/or Israeli AWACS planes coordinated targeting of the Russian Su-24 for the Turk F-16s in November 2015 — to spoil what Erdogan intended to do with Russia & Syria. A Saudi F-16 flying from Incirlik also deposited a micro-nuke at the front door of the Turkish parliament during the coup attempt — probably not a part of any Erdogan Faux Coup. This piece is informative. It fills in Gulen’s story well. But as others mention here where is Isreal. I don’t believe an honest piece about the ME can be written without writing about Isreal. A commentator speaks of gas and oil off Palestine’s coast. How Isreal wants to develop the field but he doesn’t condemn Isreali. It belongs to Palestine.. Anyway this entire war, and intriigue nonsense is about money, pipelines, power and support of the US dollar. Drugs, human trafficking, side jobs. One can fit all of what’s wrong with the world into this small circle of words. Do you really believe drug dealing by the CIA began post 911. I think not. If anyone is paying attention wherever our Army goes dictates the drug of the day: Asia; Vietnam, Thailand = HeroinS. America; Columbia, Nicaragua = Cocaine. ME, Afghanistan = Heroin. Price graph it you will see I’m right. It dosen’t end there. Designer drugs = US Universities; LSD, PCP, and many more. Links to military labs, ask Tim Leary. Oh, my bad he’s dead.